Photographer Nan Goldin’s tribute to Gigi Giannuzzi, sums up what sparked his ten-year riot called Trolleybooks. To constitute a growing repository of independently published art books using the medium photography. 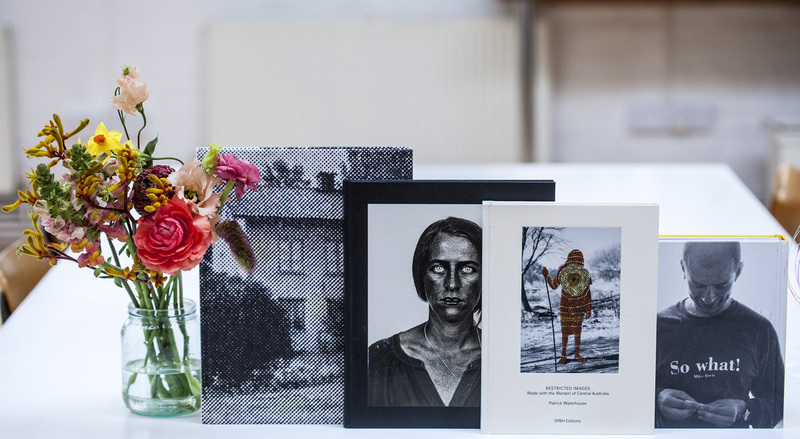 With expending art book fairs and social media free outreach, the photo book has gained cult followers and collectors worldwide. The Indie Collection aims to celebrate the curatorial voices and risks taken by publishers and artists, as well as to provide a complementary access to these publications. The project is aimed at photographers who look for inspiration; at photography students who think photography around a narrative flow; at researchers for additional resources and at collectors to expend their discoveries. We wish it to become an ensemble highlighting the authored world in publishing; as well as trends and shifts in social documentary and art photography. For now the collection starts [arbitrarily] in 1997 with the book Ten Years After: Naples 1986-1996 by Nan Goldin published by Gigi Giannuzzi [initially with Westzone Publishing]. Indie Collection was inspired by this interview: https://icplab.org/Critical_Jamming.html resulting the content to be for now: Bemoje, Morelbooks, TrolleyBooks, Oodee and SPBH Editions. icplab.org welcomes independent publishers to add their collections by filling up this form [to come]. To navigate the listing, click the column lead to prioritise year, publisher, etc. in your search.